The Australian dollar is trading higher on the February labor force survey. 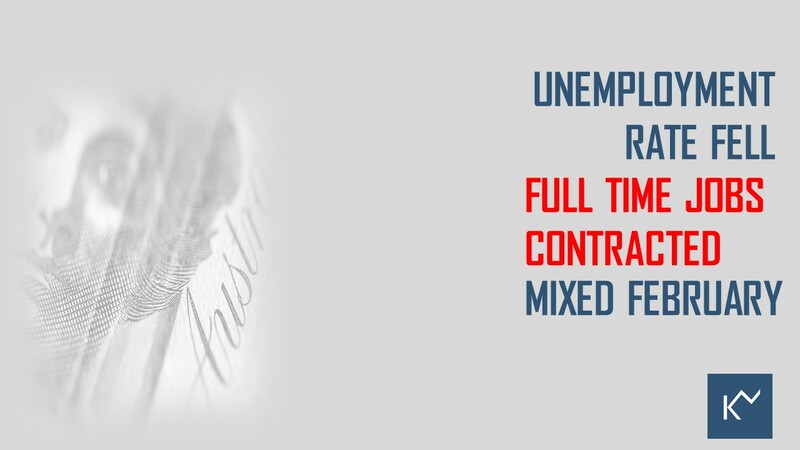 February unemployment rate tumbled whereas full-time employment decreased. We continue to expect the economy has a long way to go to join the rate hike club. 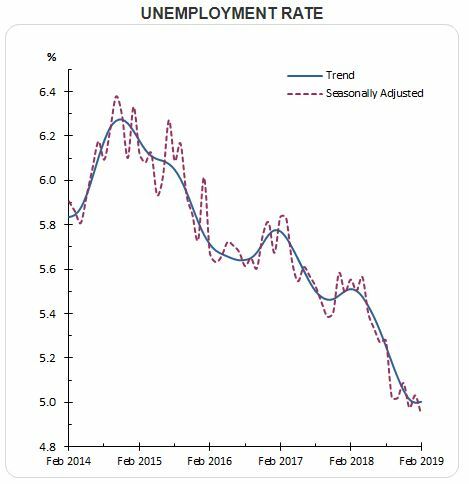 • The unemployment rate decreased by 0.1% point to 4.9% in February 2018, its lowest level since 2011. The seasonally adjusted number of persons employed increased by 4.6k persons in February 2019, according to the Australian Bureau of Statistics, missed the market expectations of 14.8k. ABS said in the latest issue, Full-time employment decreased 7,300 to 8,742,700 and part-time employment increased 11,900 to 4,020,700. This continued the recent slowing of employment growth, particularly full-time employment growth. Whereas, the seasonally adjusted participation rate decreased by 0.2 pts to 65.6% which dragged the unemployment rate by 0.1 pts to 4.9%. The other reading, underutilization rate also decreased by 0.1 pts to 13.0%. 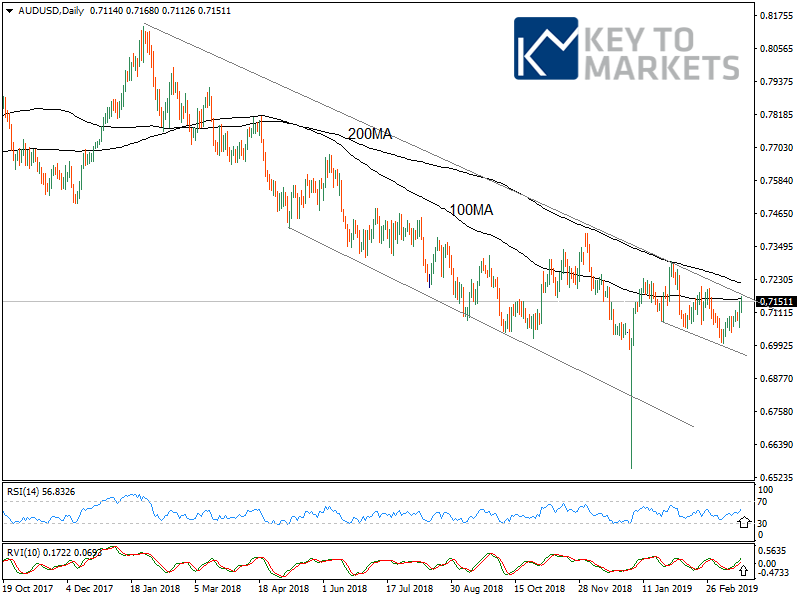 On the lower unemployment rate, AUD swiftly jumped 30 pips higher against the USD but pauses at the higher end of the falling channel coincides with 100MA. 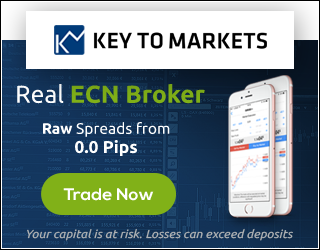 Currently, AUD is trading with 0.30% gains across the board. Do you have a different idea? Please leave us a comment and get an answer from our professional analysts.